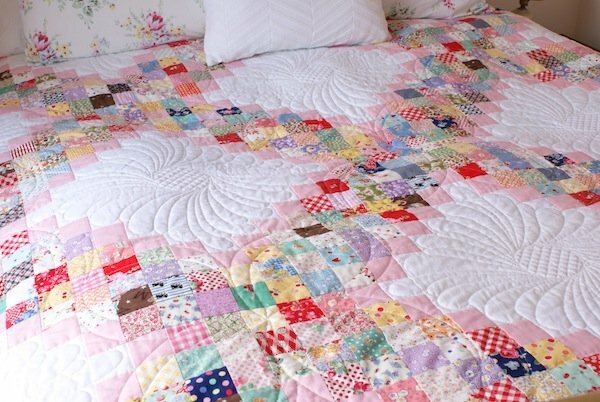 The quilting on Jessie's quilt is phenomenal. Be sure to enlarge the images so you can take a closer look. 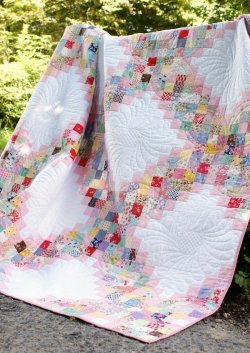 "A fun quilt to make a BIG dent in your scrap pile! I hope you have as much fun making it as I did!"